There are now more than 700 million users on Instagram. And if you want the ads for your small business to reach them, you should know what it will cost you. Did you know that Sunday evenings are the most expensive time to buy ads on Instagram? 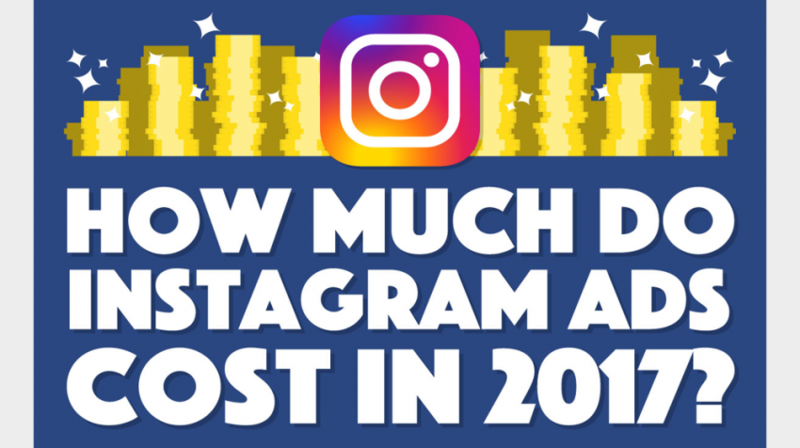 An infographic titled, “How Much Do Instagram Ads Cost in 2017” by AdEspresso, a company acquired earlier this year by Hootsuite, will let you know what goes into setting the price for ads on Instagram. More small businesses are using Instagram, and its evolution has been ongoing as more features have been added. Meanwhile, as the platform’s user base climbs to the same billion+ mark of Facebook’s other brands, it is proving to be better than Twitter, even though it was founded four years later. While many industries use Instagram, businesses in entertainment, fashion, beauty, fitness, as well influencers in these segments, are capitalizing off it the most. In fact, the influencer market recently hit a milestone by becoming a billion dollar industry. Ad spend on social media is part art and part science, and without the right mix it can be very challenging. AdEspresso is a company established to simplify Facebook advertising for small and medium-sized businesses. And with the data in the infographic, the company brings this knowledge to Instagram too. Taking into account the user base, growth and the fact that users are more likely to engage with brands on the platform, how much are the ads on Instagram? There are a multitude of factors which determine the cost, and each one is driven by the fact that, “Ads are in competition with any company that is trying to reach the targeted user, not just brands within their industry.” And this competition is further intensified with an auction system that lets you bid for each ad. While it might seem daunting, for small businesses looking to reach their customers in their location, it is affordable. A report by Nanigans revealed the average CPC for Instagram advertisers is between $1 and $2. So if you set your budget for $500, you can get between 250 to 500 clicks. For a small business looking to increase its presence this can be an affordable way of doing it. The average CPM was $5.68. You are going to pay for ads based on Cost per Click (CPC) or Cost-Per-Thousand Impressions (CPM), and depending when you place the ads it will be cheaper or much more expensive. As mentioned earlier, Sunday is the most expensive day, but holidays are also costly. You can add Christmas, Black Friday, Cyber Monday, Labor Day, and New Year’s Eve to that list. Televised events, such as the NBA finals, cause spikes in certain Instagram demographics. You have to factor in these spikes for your CPC or CPM budget. The most expensive CPC is for females between the ages of 18 and 34. Influencers are used by fashion and beauty brands to reach this audience. The least expensive demographic is males, especially those older than 65. For more detailed information about buying ads on Instagram, check out the full infographic from AdEspresso below.